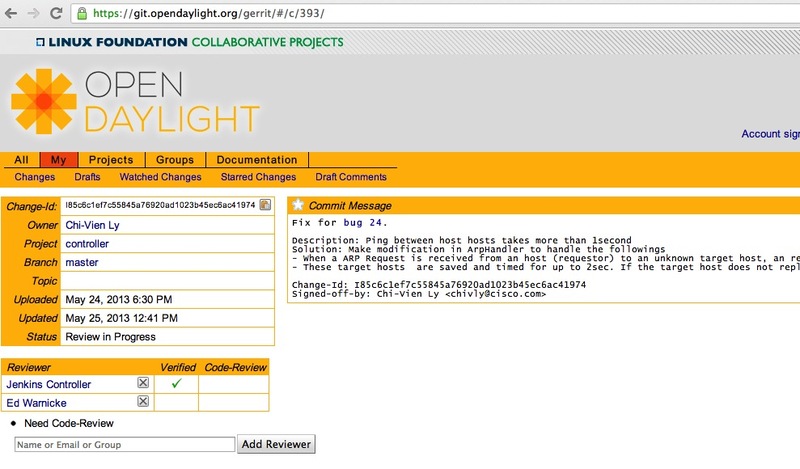 OpenDaylight uses for code review prior to merge. So what if you want to contribute a change based on a Gerrit that has not yet been accepted and merged into Gerrit? Turns out, it’s actually pretty easy. Let’s walk through an example. Not a big deal, but also not pretty. At the time, is still being code reviewed, it’s not merged with master branch. I’d like to go ahead and fix the whitespace issues without waiting for the merge. HEAD is now at 261f59d... Fix for bug 24. And check to see that I’m on it. Writing objects: 100% (13/13), 1.10 KiB, done. 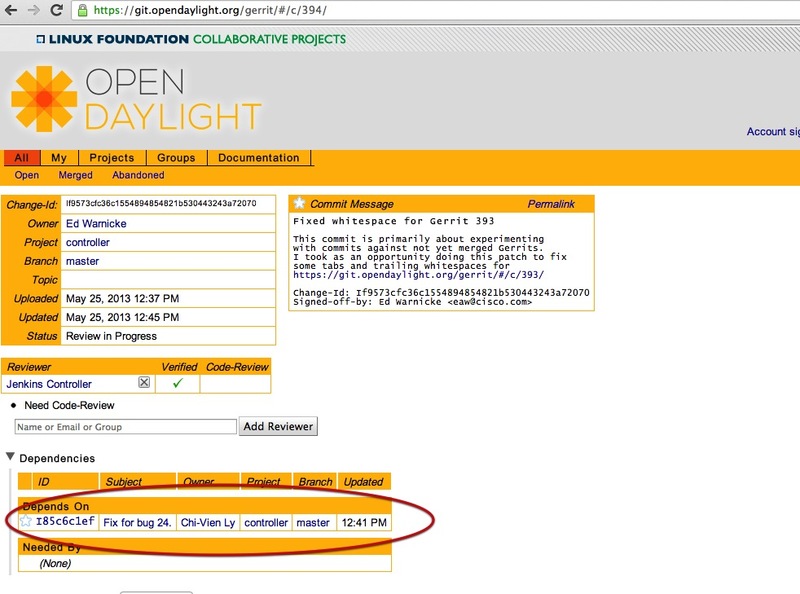 As you can see that the bottom, I’ve created Gerrit 394 . You are currently browsing the archives for the gerrit category.